Now that spring has officially arrived in Minnesota, you may be planning a landscape project or want to set up a lawnmowing schedule with a local landscape company. At The Lawnsmith, we recognize that home and business owners in Hennepin County and Dakota County have many options when it comes to caring for their outdoor maintenance needs. 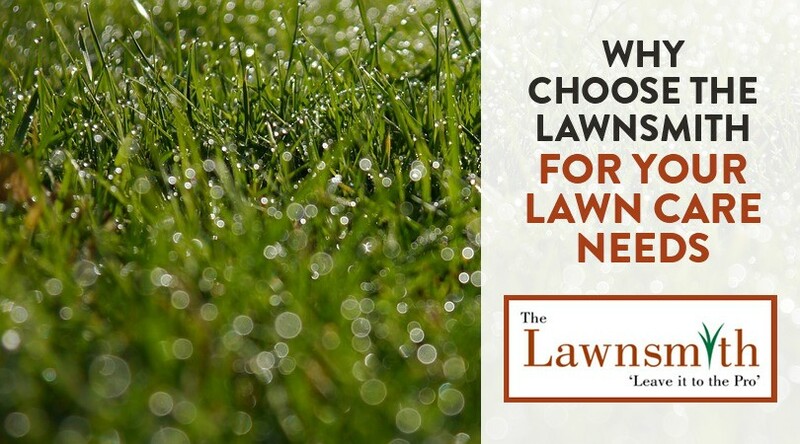 Why should you choose to work with The Lawnsmith? We’re glad you asked. Owner Dan Beutz started The Lawnsmith in June 2008, which means that we celebrate our tenth anniversary in just a few short months. In that time, we have earned an A + rating with the Better Business Bureau with no complaints on file. We also have several reviews on Angie’s List where we maintain an A average as well. Our team works hard, takes pride in our work, and looks forward to exceeding your initial expectations. Aeration: Aeration is a process of puncturing small holes in your lawn so it gets the water, sunlight, and other nourishment it needs to grow healthy. It also helps to prevent compaction of soil that can impeded growth. Dethatching: The brown layer that develops between your grass and soil is called thatch. Removing it periodically is necessary so it doesn’t prevent your lawn from receiving the nutrients it needs. Double Aeration and Overseeding: If your lawn has bald patches, opting for double aeration and overseeding in the early spring is the best way to eliminate them. Fertilizing: Applying fertilizer to your lawn helps it resist disease and grow healthy. We recommend five applications per year starting in the early spring. Lawn renovation or replacement: We’re available to evaluate your lawn to determine the exact types of renovation it needs or whether putting in new sod would be best. Spring clean-up: Is your lawn and yard a mess after the harsh winter of 2017-2018? Our crew is available to clean your lawn, landscape beds, window wells, and entire yard. Best of all, we haul all debris away so your lawn gets a fresh start with the new season. Weekly lawnmowing: No time to complete this chore yourself or just want to enjoy more of the warm outdoor weather? We’re happy to set up a lawnmowing schedule that’s convenient for you. We can also bag and remove grass, clippings, and debris. In addition to the above, we offer a range of landscape and gardening services, including mulching, weed pulling, sod installation, and trimming shrubs. Whether you’re planning a simple or elaborate landscape feature, we’ve got you covered from the planning stages to installation and beyond. Just click here to receive a free quote on this or any of our other services.